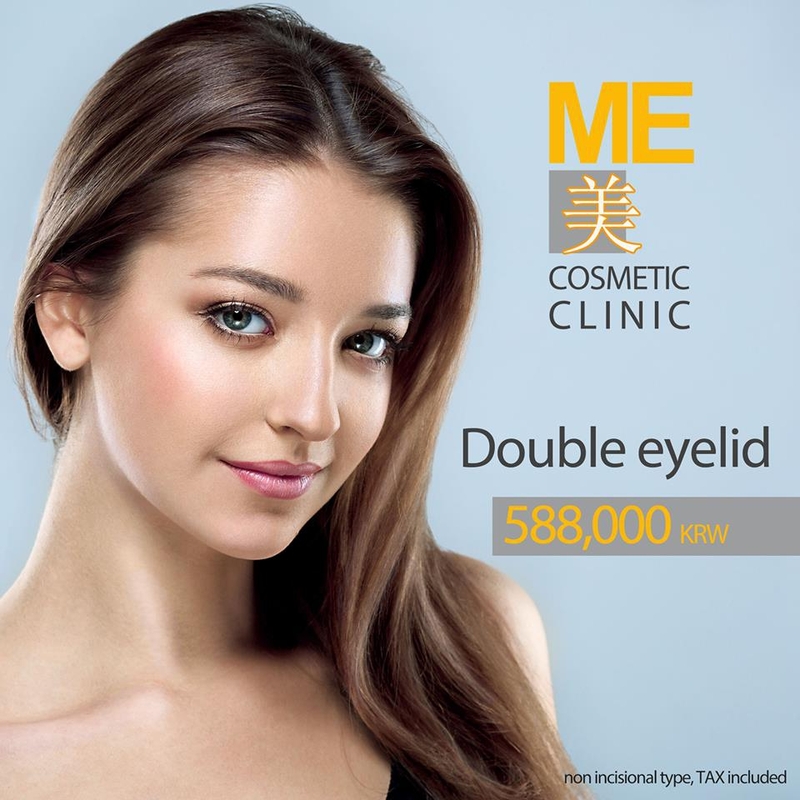 ME cosmetic clinic Double eyelid surgery promotion for this fall. (until 15th of December) with cost of 588,000 KRW no addtional charge or fees what so ever. Cost includes all follow ups and stitch removal after surgery even with airport TAX refunds! Notice : Surgery takes about an hour and need recovery time for a week after surgery for removing stitches and surgery follow ups. Also swollen eyelids will last a month or more due to life style and condition of patients. ​​Contact chris@meclinic.net or +82-10-3118-7591 for more details.